For so many people, whether your addiction is to a substance or merely to a certain way of thinking or acting, a profound humbling occurs when you realise that your problem is bigger than you are. The terror of realising, even dimly, that you have no control over a self-destructive pattern of behaviour-that as much as you would want to, you simply cannot stop - can mark a crucial turning point in your life. At that point, you go in one of two directions: either way, way down, or way, way up. . . . This book is for you if you know in your heart that you are an addict, and that you are powerless before your addictive behaviour. 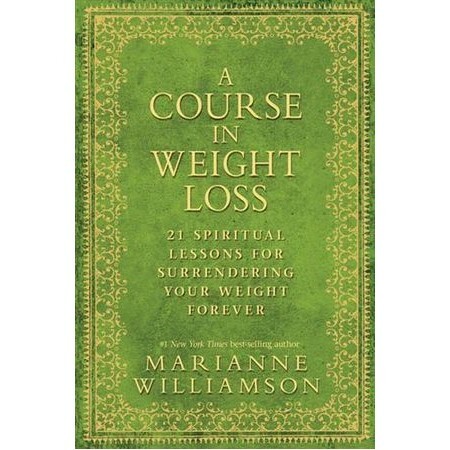 As the title promises, Marianne Williamson looks at weight loss from a spiritual perspective, bringing you 21 lessons that can be done separately or in conjunction with any other serious spiritual path. These 21 lessons are completely separate from anything related to diet or exercise - they will retrain your consciousness in the area of weight in order to break the cycle of overeating, dieting and shame that rules so many lives. Finally, Marianne has brought you what you've been waiting for: help to heal your addiction once and for all! Marianne Williamson is an internationally acclaimed author and lecturer. She has published eight books, four of which-including the mega bestseller A Return to Love, and her latest, Everyday Grace-have been #1 New York Times bestsellers. A popular guest on numerous television programs such as The Oprah Winfrey Show, Larry King Live, Good Morning America, and Charlie Rose, Marianne Williamson has lectured professionally since 1983. In 1989, she founded Project Angel Food, a meals-on-wheels program that serves homebound people in the Los Angeles area. Today, Project Angel Food serves over 1,000 people daily. Ms. Williamson also co-founded the Global Renaissance Alliance (GRA), a worldwide network of peace activists. The mission of the GRA is to harness the power of nonviolence as a social force for good.